Do you want to learn with Polish CD programs? There are a bunch of learning Polish CD programs out there. Why do they still exist? Well, if you’re like me, you like tangible learning resources. So, which one should you choose? Which are best? I have none to sell you but I can recommend the top Polish CD programs. In this guide you will learn about their pros and cons, and how you can get them. Let’s start with one of my favorite Polish CD programs. Pimsleur is a popular audio and CD-based language learning company, that was founded back in 1963. With this package, you get a whopping 16 Polish learning CDs. That’s about 8 hours of Polish lessons in total. Each lesson is about 30 minutes. That is why Pimsleur takes my top spot; the sheer content. Your lessons start out with a quick conversation between a man and a woman. Then, you get instructions on what to do and how to learn. Basically, the narrator will ask you to speak out loud. Then we jump into the Polish language. The voice actors break down all of the Polish words from the conversation by syllables. For example, “che,” then “sht,” which are combined into “chest” which means “hi.” Then you’re asked about the next phrase. For example, “how do you say excuse me in Polish?” in order to prime your brain for the Polish of “excuse me.” Once you master all of the words, you’re need to say that sentence in Polish. So, there’s a lot interaction between you and the program; a lot of speaking and listening going on here. By the end of the lesson, you master the dialog and all of the words inside. Remember, this is audio only. You do not get a book or notes to read. Here, you get “10 topics” or lessons. Inside each lesson are 2 Polish conversations. Overall, you learn the basics and travel phrases that will be helpful in Poland. This is a bit of a “survival” course. Michel Thomas is another super popular audio Polish program. With this Michel Thomas package, you get 3 Polish CDs inside. With these lessons, it’s as if you’re sitting in on a conversation between a Polish teacher and a student. You’re like a fly on the wall. They go over words, phrases, common sentences, questions, and break down everything by syllable. Yes, you also have to repeat what you hear. The teacher is in control here. The only downside, according to some learners, is that this specific program is not conducted by Michel Thomas. Are you going to Poland on a vacation? Up for a challenge? Then this is a good Polish CD program for you. Here, you only get 75 minutes of lessons. The goal is for you to learn all the of words and phrases you will need when your plane touches down. Very simple. This is one of my favorite Polish CD programs because of its simplicity and limitations. They do not promise a lot, nor do they overwhelm you. You listen to a narrator as he guides you through these 12 units. In each one, you hear a dialog that get broken down and explained. It sounds like other audio programs, right? So, why does it make the list? Cost performance. It’s just 16 bucks. This is a book and audio CD combo. One book and 6 CDs. You don’t need any experience to learn with this one. The CDs here serve as 1) companions to the small reference book and 2) stand-alone material that you can learn with, without the book. Inside the CDs, you can listen to the dialogs that were presented in the book, as well as explanations, examples and exercises. These are my top Polish CD programs. 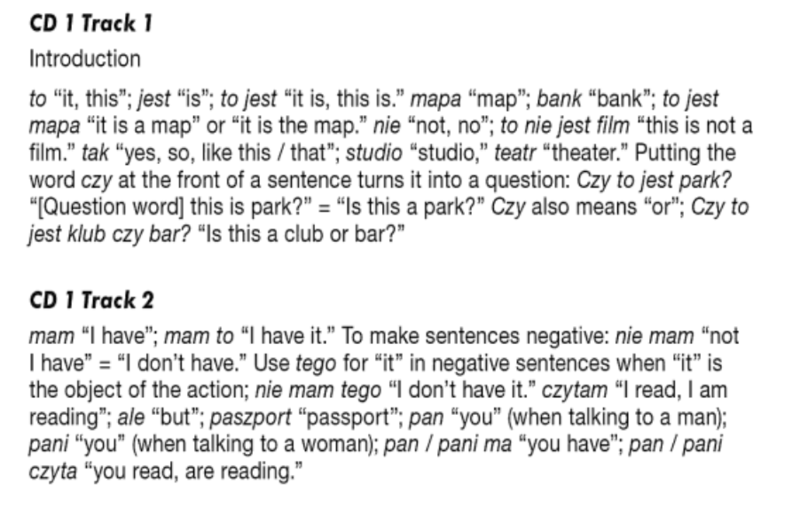 Polish is definitely not the “hottest” language to learn so it’s hard to find great resources. If you know of any more, I’d love to hear about them. Cassette tapes too! If you’re interested in programs that are NOT on a CD, I also recommend PolishPod101.com. 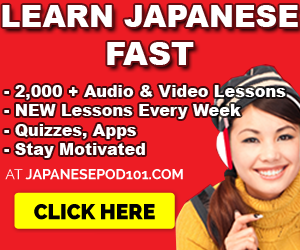 They have all of the audio and video lessons (500+) that will help you speak, read and write Polish. BIG Collection of Learn Polish PDF Lessons – FREE. Have you tried Pimsleur or Michel Thomas? Which Polish CD programs are your favorite?